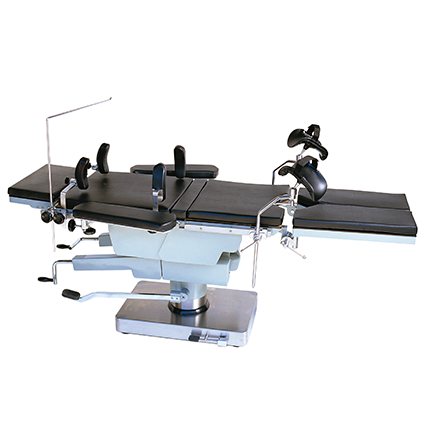 ST-06 is a multi-function operation table with HEAD-END control system which specially designed for MULTI-PURPOSE operation. 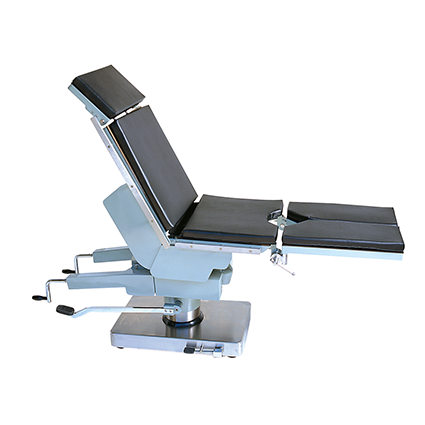 Its design concept complies with every demand: table top elevation adjustment, lateral tilt, Trendelenburg, and special patient positions. 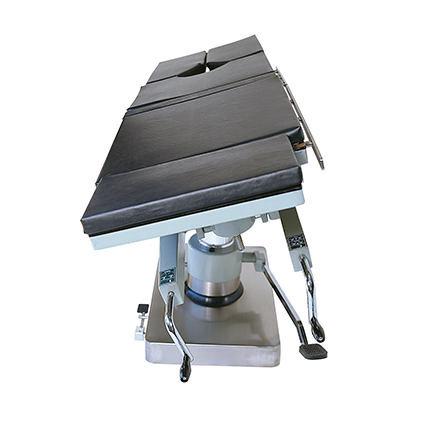 Universal characteristic makes ST-06 can adapt to most of surgical situations perfectly. * Stable base construction with four castors for easy movement. * Base brake lock/unlock by foot pedal. * Lateral tilt and Trendelenburg adjusted by hand crank. 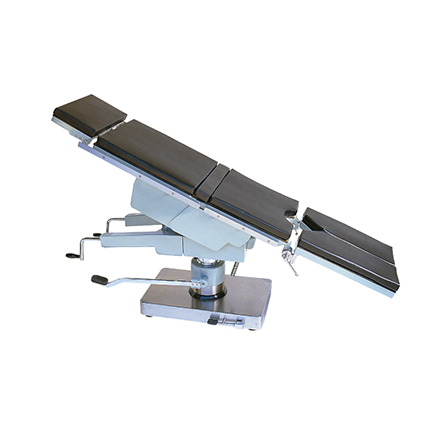 * Base cover, side rails, accessories & clamps made of #304 stainless steel.